in Machine Learning for the Humanities. 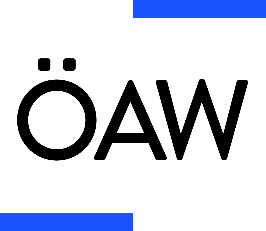 This position will be at the centre of a new research focus that we are currently establishing at the ACDH-OeAW, on the application of machine learning techniques to humanities data. The role provides the opportunity to explore applications for machine learning techniques in the humanities, both in text-centric fields such as literature and linguistics, as well as fields such as art history, history, and archaeology that are less text-centred, but have nevertheless a great deal of data to work with. The successful candidate will be expected to initiate independent research projects and apply for external funding where feasible; to advice colleagues both within and outside the ACDH-OeAW about available machine learning techniques and their feasibility to the task at hand, and to present his or her work internationally at conferences and in scientific journals. Prior experience with one or more of the main software libraries for machine learning (e.g. TensorFlow, Keras or similar) is an advantage. We offer full-time employment (40 hours per week) for an annual gross salary of € 42.551,60 according to the collective agreement of the Austrian Academy of Sciences. The employment starts on March 1, 2019 or as soon as possible thereafter. It is initially limited to 22 months, with a possibility of extension thereafter. via e-mail to acdh@oeaw.ac.at no later than February 15, 2019.